Medical marijuana is legal in most of the country, but it can still get you fired. NEARLY two-thirds of Americans now live in a state that allows medical marijuana in some form. 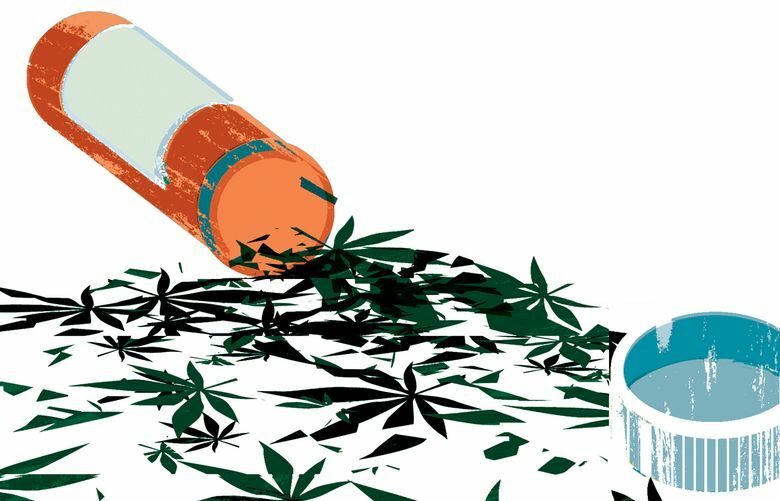 Just this year, five Southern states, including Texas, allowed limited access to therapies based on cannabis. The revolt against the blanket federal marijuana prohibition has now spread to at least 29 states. Yet using marijuana as medicine — and it clearly can be useful medicine — can get you fired in most of those states (and the District of Columbia), even if the use is off the clock. The Supreme Court of Colorado affirmed that last week, echoing similar cases in Washington, Oregon and California, where there are no mandatory workplace accommodations for therapeutic use of cannabis. The antiquated federal Controlled Substances Act’s bans on marijuana use pre-empts state laws. To accommodate legitimate medical-marijuana use for workers, federal law must change. The Colorado case involved Brandon Coats, a customer-service representative for Colorado-based DISH Network. He was fired in 2010 after failing a random drug test for marijuana, which he used to control leg spasms after becoming a quadriplegic in a car accident. He had a good employment record, and no evidence of impairment at work. Company attorneys successfully argued that neither mattered because federal law allows for zero-tolerance policies, even off the clock. In Coats’ case, a Colorado state law allowing for “lawful” activity outside the workplace was trumped by the federal ban. Medical-marijuana accommodation in the workplace is a difficult issue. Employers must be empowered to regulate employee performance and impairment, especially safety-critical industries, such as aerospace or trucking. And elastic definitions of a legitimate medical use — especially in Washington, which only recently tightened the definition — rightly should give employers pause. Seattle Attorney James Shore won a 2011 Washington Supreme Court case on behalf of TeleTech, which had fired an employee who treated her migraine headaches with marijuana. But Shore said local employers are quietly choosing to ease workplace drug-testing rules. “When the thirty-something generation takes over the company, they’re viewing things differently,” said Shore, who works at the firm Stoel Rives. The Obama administration and Congress must wake up to the brushfire revolt over marijuana. The simplest method would be to reclassify marijuana to recognize that it has medical value, which the Drug Enforcement Administration could do, but hasn’t. A fuller legalization bill is currently in the U.S. Senate, co-sponsored by the unlikely pair of Sen. Rand Paul, the Kentucky Republican running for president, and Sen. Cory Booker, the Democratic darling from New Jersey. A similar bill sits in the U.S. House. Among the Washington delegation, only U.S. Rep. Suzan DelBene, D-Medina, has signed on to either version. More should, and bend federal drug-control law to recognize what most of the country already has agreed on. Medical marijuana has value and shouldn’t get you fired.